When I first visited the Benefit Cosmetics Boutique at Greenbelt 5, there were a short list of items I want to spend on and one of them is the Benefit High Brow Pencil. It took me months, before I've decided to pick this up as I would always fight the urge to purchase one! I always tell myself: "How in the world can High Brow be a necessity? I can always use eyeshadow to highlight the brow bone area!" As I was busy with the afternoon Workshop with guests at the Benefit Boutique, Greenbelt 5 last month. One of the attendees took the High Brow pencil and requested me to show her how to use it. I happily obliged and applied a tiny amount on her brow bone area and blended it using my fingers, she took a good look at the mirror and said: "Oh wow! I see a huge difference!" I stepped back, and in my mind I was screaming: "Oh my! It did make a huge difference! Her eyes look lifted and lively, I must get myself one immediately after the workshop!" Yes, I need proofs and once I got one, my conscience went on hibernation. A brow lifting and enhancing pencil that instantly adds a lifted look to the entire eye area. It's never been easier to raise a brow or two! The soft, matte linen-pink pencil looks beautiful on all skin tones. Size: 2.85g Net wt. 0.10 oz. Creamy pencil, easy to apply and blend. Positively gives the "lifted" look! 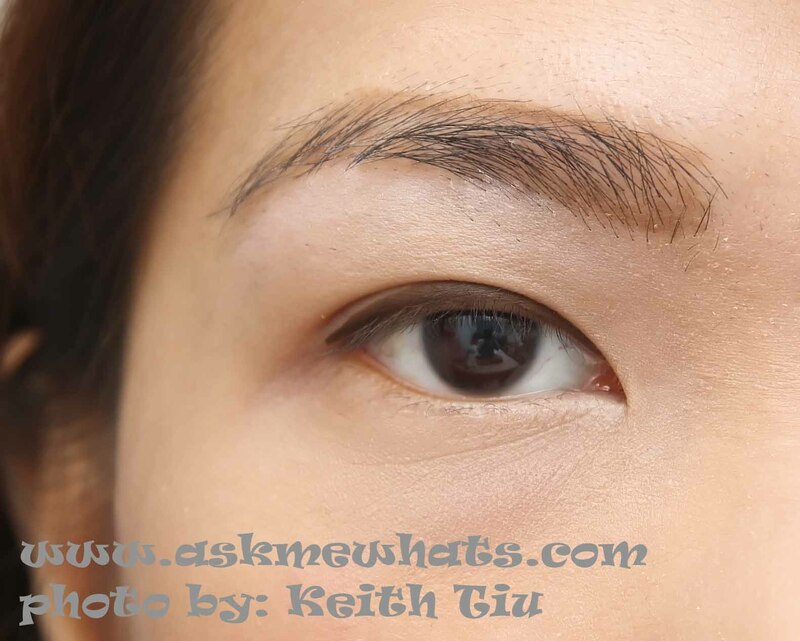 Accentuates the arch of the brows making it look more defined and neat. Multi-functional. This can also be used on the waterline and on the inner corner of the eyes. 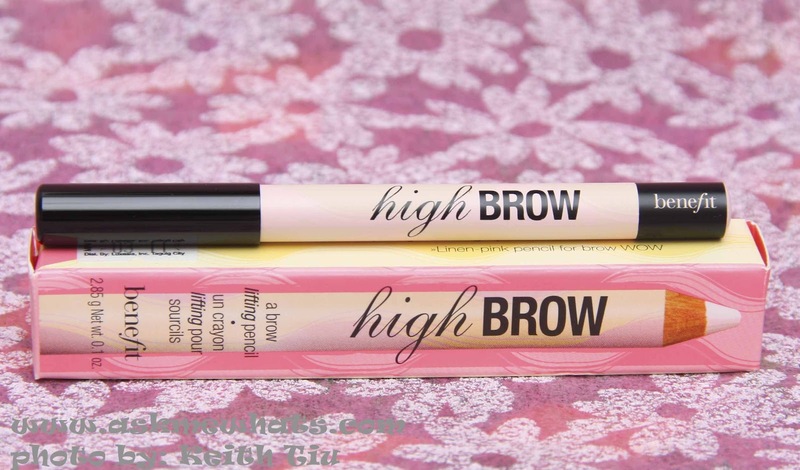 Even if your brows aren't in good shape, the Benefit High Brow will define your brows making it look neat and clean. Though pricey, this can last a long time as a little is enough. None for now, I'm in love with this! 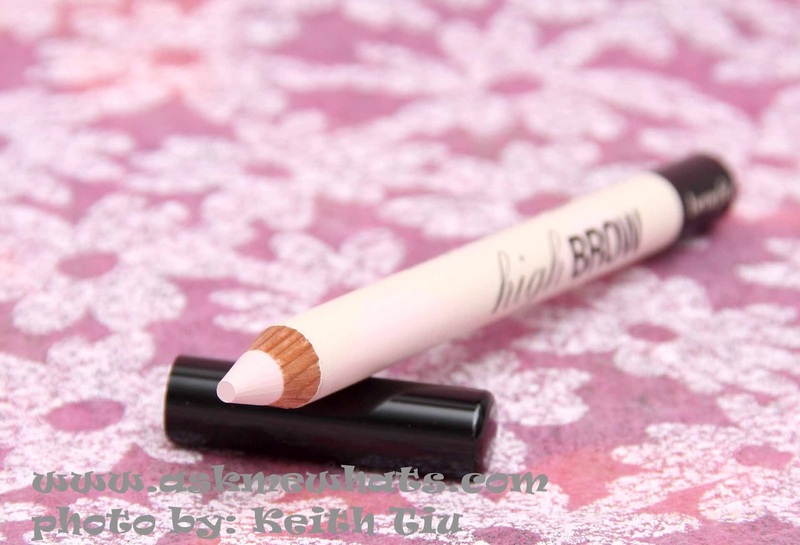 The Benefit High Brow gives a very subtle "uplift" effect and can be used on a daily basis. 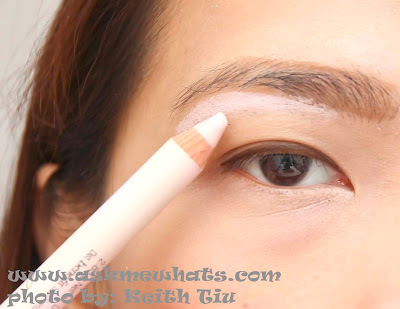 Apply the pencil directly on the brow bone area and gently blend with your clean fingers or a synthetic concealer brush. If you prefer a more defined arch, feel free to apply some of the Benefit High Brow Pencil above the brow by using dots and blend. Use this pencil to highlight the inner corner of your eyes or the tip of your nose as long as it works for your skin color. Instead of using a matte white eyeliner pencil, Benefit High Brow can also be used on the waterline to create bigger looking eyes. Anyone who likes to have lifted brows on a daily basis. Works for almost all skin types! At local Benefit Boutique at Greenbelt 5 and Shangri-la Mall for Php1,200 (approx $28.00). LIKE Benefit Cosmetics Philippines on Facebook for Promos and Product information. staying only within the area where the pencil was drawn. or you can leave the house as it is. Do you define your brows with extra products? Do you think you need the Benefit High Brow Pencil? That's nice if you have a good alternative that's cheaper! I haven't seen or used the Maybelline version! I often come across this product everytime I go shopping for makeup but it didn't really tempt me. I don't think I need it.